Abortion baby Termination baby it died whoops my mistake ! In last nights news a mum to be was told that her baby had died due to a silent miscarriage and was to told to have an abortion. 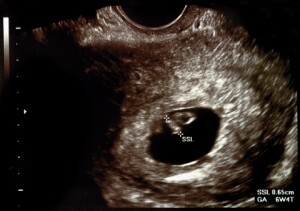 after going to another hospital a scan revealed she was carrying a healthy 9 week fetus. How many more babies have been killed due to miss diagnosis and why should an abortion be offered instead of letting nature take its course, of the baby being delivered naturally with no medical intervention as the body determines that baby as died? Its understandable if a natural miscarriage doesn’t happen and there is a risk of infection to mum, but no mum should be rushed into agreeing to abort the fetus there and then. in fact medical staff only have up to 24 weeks gestation to get abortions out of the way for it be classed as against the law.You do not have to agree to an abortion you can get a second opinion. if you have been told baby has died or have been offed a termination because an abnormality has been detected do not say yes there a then.Do not take any medication home with you to bring about an abortion you can say NO!